Joey Lucchesi’s churve is a very interesting pitch. We spoke about the pitch and he even went as far as to show me his grip for the pitch. “I just hold it like a circle change. The pressure of how I throw it gets the result. 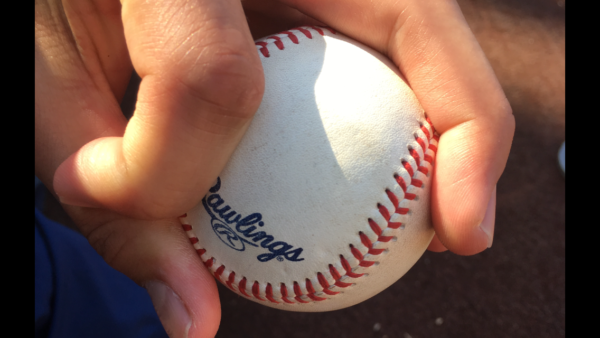 It comes off of this finger more (middle finger) and off the edge of this one (ring finger).” The grip is not as interesting as the fact he uses pressure points on the ball and release points to get the movement he desires. “I can make it move. I guess it’s where I want it to go. I can go inside with it and outside.” He has the ability to move the pitch in and out as well as up and down. He is mastering the art of changing speeds and doing it on his breaking stuff as well. We spoke more about the churve and how he is getting plenty of swings and misses with it. I asked if he purposely leaves the pitch up sometimes. “Depending on the count. Sometimes I do leave it up to get a called strike. Most of the time when the pitch is up hitters will swing right through it. The spin messes them up. I am glad they keep missing it. I hope they keep missing it.” They do keep missing the pitch will surely be a weapon for this young man for a long time. In doing some research, I noticed that Lucchesi is throwing mainly one type of fastball. His two-seamer is getting excellent downward tilt, but I was curious about the four-seam fastball and if he used it much. “I will use the four-seamer for pitches up in the zone. 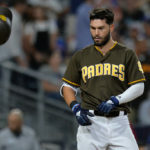 I am going to start working on possibly throwing it more next season.” He will use it occasionally, but there is a possibility he incorporates it more next year as he gets comfort with the pitch. As a pitcher, you need to constantly make adjustments in order to enjoy success at the major league level. We spoke about the fact he is utilizing two pitches to get the job done right now. 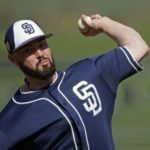 I was curious about the third pitch selection and what he plans to do next season to add another option to his repertoire. “I need to throw the curve a lot more and I am going to work on a cutter as well. I feel like that will help me. This offseason, that is the plan. Balsley is going to help me with the cutter. That is what he told me. My plan is to keep growing.” He has plans to adopt both the curve and cutter into his bag of tricks. He is still early in the stages of developing those pitches, so there is a long road to go. It is excellent to hear that Balsley is working with Joey on reaching his ultimate potential. 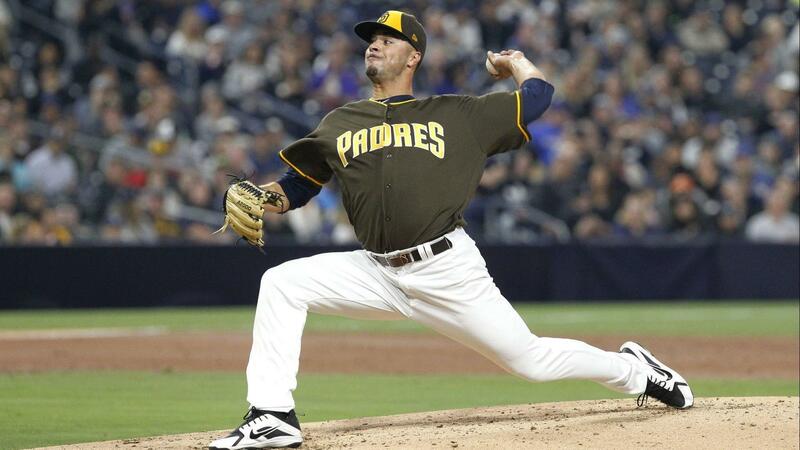 The motion of Joey Lucchesi is very well-known. I asked him about his mechanics and who helped him polish off the motion he presently uses. 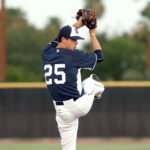 “My high school pitching coach helped me out with my motion. I added the drop of my hands when I come set a few years ago. It is a timing mechanism. I might switch up my mechanics a bit this offseason. I don’t know.” We went into it a little about the possible mechanical changes. Nothing too drastic. He just feels he can get better spin and location with a few minor tweaks. Lucchesi is not afraid to adjust and grow. He will be doing so in San Diego. “I am going to stay here this offseason and work out,” I asked if he and Clayton Richard will work out again. He told me that was possible, but he really did not know yet. In his workouts with Clayton Richard, Eric Lauer was present. The two have become very close and we spoke about Lauer. “We created a bond slowly but became good friends pretty quickly. We always talked about our game to each other. 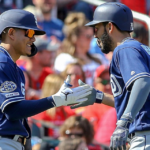 We recognized that we were both genuine people and we became boys.” He told me how the two first met and also about the fact the share that same left-handed pitcher bond. Lucchesi appreciates having someone close to him that can relate to what he is going through as a young major league pitcher. We began to converse about Franmil Reyes, Freddy Galvis and the other Latino players on the team. I was curious if Joey felt the energy they bring to the ballpark. “Yes. They bring a different type of energy that we need. Everyone enjoys it. They are always excited and happy. I have created a special bond with a few of them. I try to talk to them as much as I can even though I don’t speak Spanish. They are always open to communicate.” Even though there are some language barriers, each player is able to interact and have fun with one another. The influence of the Latino talent will energize what has traditionally been a very stale franchise. 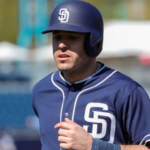 Austin Hedges has a great reputation as a receiver. I ask almost every pitcher I interact with about him. Lucchesi was complimentary of the young backstop. “He is a really smart catcher. He is extremely intelligent about the game of baseball. He knows what pitches to call and where to set up. Throughout the year he makes me a better pitcher. In our meeting, what he tells me really sticks in my brain.” Joey expressed how important Hedges is to his game. The fact you can rely on a catcher to know each and every batter and their tendencies is invaluable for a young pitcher. In closing, we went through some fun topics. I asked Joey who his favorite team was growing up and which players he looked up to. “The Oakland A’s. My all-time favorite pitcher is Randy Johnson and I always enjoy watching Clayton Kershaw pitch.” Growing up in California, that was not a surprise. Neither was the fact he idolized two dominant left-handed pitchers growing up. We spoke about the city of San Diego as I asked him what he liked best about the area. “I love the weather and how close I love to all my teammates. The people here are really nice as well.” How can you complain about San Diego? He loves it here and is very comfortable in the area. Joey has grown up in the system and seen the progression first hand. I asked him about the term “trust the process” and what that meant to him as a player. “Trust the process means to trust the coaches and everything they have taught you. And what they are trying to build here. We are trying to create a winning culture and I am all in on that. As long as we do our work and stuff, the rest will take care of itself. There is a lot of potential in all of us. I know we are still young but I know it is there, man.” The youth on this team is wise and they are well-educated about the fact the organization is trying to change the culture. It takes time, but the team is well on their way to relevance. Sign Kikuchi and with Lauer and Luchessi, Strahm and a trade for Syndergarrd, we are set for 2019. I’m wary of signing or trading for pitchers with history of injury. What’s wrong with a rotation of Luchessi, Lauer , Nix, Strahm, Lamet, Rea, and Erlin ? That’s 7 capable starters already in the system with Allen, Paddack, Quantrill, Kennedy, and Lockett ready to ascend. Erlin and Rea are probably no. 5 starters at best, and even that is questionable. Erlin is best suited for long relief. 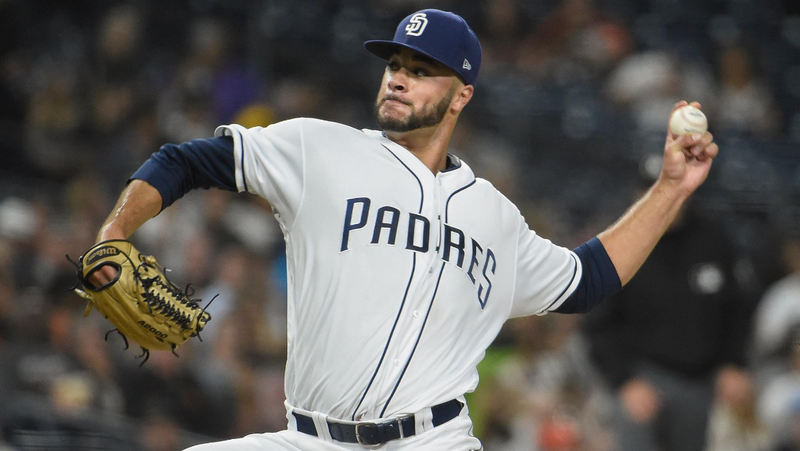 Lamet won’t even be ready until late in the 2019 season. Wouldn’t shock me if Kennedy and Lockett are DFA’d during the off-season. My hope is Kikuchi (or some other free agent), Strahm, Luchessi, Lauer and a fifth slot that could be filled by Nix or Allen or Quantrill. 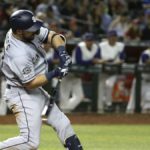 The Padres always seem to go into spring with 10-12 capable of starting and then settle it out. People forget about Richard, as bad as he is, will may get a rotation spot and move to the bullpen later. I think Paul has it pretty close to what it will be, other than Richard replacing Lamet in that list. If I had to guess, Luchessi, Lauer, and Nix are in the rotation as long as they don’t sustain an injury. The last 2 are probably between Strahm/Richard/Allen. 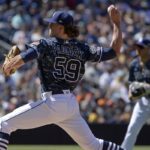 I think that Paddack has the upside that he has zero shot at making it out of spring training, but will be around to compete. If he lights it up, he will have to wait the 3 week service time delay. He may be the guy to knock Richard into the pen or for the inevitable DL replacement.